Similar to HPE8 but with tall epoxy coated aluminium alloy cap providing an electrode depth adjustment of up to 335mm. 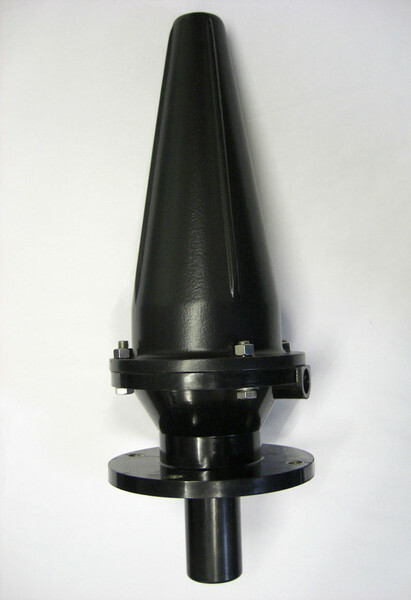 Supplied with SS clamping collar, rubber gasket and SS nuts and bolts to secure cap to base. An E9 is also available comprising an HPE8 body with a 1m UPVC cap to give longer electrode length adjustment. If plastic coated electrode is used, specify E12/1. 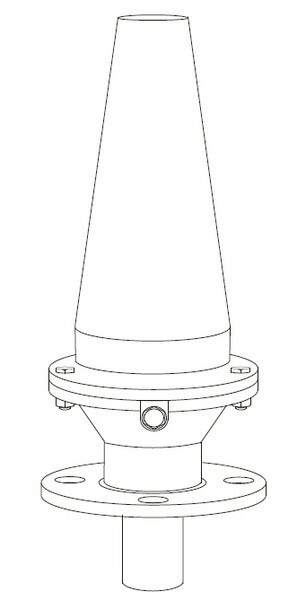 Rubber bungs are available to insert in electrode tip. We provide a service to thread ¾” pipe. Plastic touch-up paint for electrodes is also available. For ATEX Approved (hazardous area) Models (using P8/IS level controller) model becomes HPE12/IS.